For nearly a week, 14-year-old Emma (not her real name) was scared that she was slowly dying. Emma found sanctuary at Chimanimani Hotel — one of the few buildings that remained standing — where she joined dozens of other refugees. As others prayed and thanked God for saving their lives, Emma found no reason to be thankful; instead, her mind was on her satchet of the anti-retroviral therapy [ART] she had left behind as she fled the raging storm. 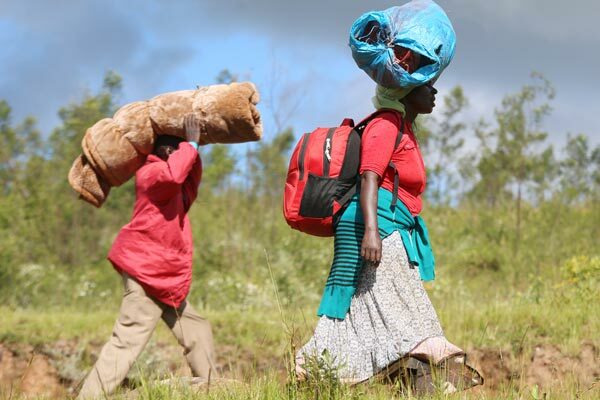 Their house and many other surrounding buildings were turned into a heap of rubble as the cyclone storm intensified, causing massive landslides and floods that killed nearly 400 people, and left over 600 missing in the two districts of Chimanimani and Chipinge. With roads and telecommunication lines to the entire Chimanimani destroyed, it took nearly a week for the first vehicular traffic to get to Ngangu. For Emma, that week passed by without any hope of her getting access to medication. It made her feel like someone on death row, just waiting for execution day. the rest of the country, except that they did not bring any ART, which Emma had yearned so much for. It only took a local non-governmental organisations, AfricAid — with support from United Nations Children’s Fund (Unicef) — to intervene with a specific target on children and adolescents living with HIV and Aids. AfricAid was part of the six Unicef-supported partners that immediately intervened to provide, among other things, child protection, HIV and Aids support, child nutrition, water, sanitation and hygiene [WASH] and educational support to the most affected communities. According to Unicef, the HIV response continues to focus on ensuring continuity of treatment for pregnant and breastfeeding women, children, and adolescents living with HIV, and with partnership with the Ministry of Health and Child Care and Africaid, 5 128 of the 7 200 children and adolescents on HIV treatment in the affected areas have since been located and are getting medical and psychological support. “The ongoing assessment of children and adolescents living with HIV includes verifying whether they have their medicines and medical records, and can access health facilities. Currently, 27 adolescents whose medicines were washed away, were re-supplied with anti-retroviral drugs. If necessary, affected children are linked to social services for shelter, supplementary food and support-care. With Unicef support, two Africaid social workers continue to work in the two most-affected districts, while four more are being recruited to expand coverage in the affected areas. Unicef will start prevention information and services orientation for those at risk of infection through the National Aids Council (NAC) in the next week. With 32 social workers deployed to Chimanimani and Chipinge with support from Unicef, for Emma, the intervention did not end with her resuming her HIV and Aids therapy. She and 2 956 other children, including 152 children living with disability, got psycho-social support, bereavement counselling, and identification, documentation, tracing and reunification services. It was through this process that Emma opened up on a sexual abuse incident that had happened two years earlier while she was in Mozambique and living with an uncle. “Her parents were afraid of reporting the sexual abuse case and it was only when we counselled her post the cyclone that she told us, and we have since referred the case to another partner, Childline, which will take the case further,” said an AfricAid official. According to Unicef, 2 800 children and over 1 200 caregivers have been sensitised on protection from sexual exploitation and abuse and protection and parenting support. Three child-friendly spaces have been opened in Ngangu and Kopa, which are the most affected areas and Unicef plans to conduct local dialogues in Chimanimani for service providers, camp coordinators and military personnel, incorporating professional psychological debriefings and assistance to service referral. The Ministry of Public Service, Labour and Social Welfare, the Regional Psychosocial Support Initiative, Childline, World Education, JF Kapnek, Africaid, Child Protection Society and Plan International are supporting ongoing child protection interventions in response to the floods.